Looking For A New or Used Mini Engine? In search of used Mini engines for sale? Engine Finder will assist you in finding a used Mini engine swiftly! Whenever you give us a call or use our engine enquiry form, your inquiry will get emailed instantly onto a broad group of Mini scrap yards, remanufacturers, automobile salvage yards and Mini engine importers. Simply select the applicable automobile brand key in the vehicle details and submit the form. Additionally give us a call! After that simply take it easy and wait the most suitable quotations to reach you by way of e-mail or telephone. Please be aware we do not promise any of the suppliers’ engines, action or services. complete engine and gearbox, even it is 1.6 Turbo or a 2 liter, for a Mini Cooper S, 2008 year model. looking for a complete engine for a Mini Cooper S Turbo, 2008 year model, either new or second-hand please. looking for a complete engine for a Mini Cooper S 1.6, 2012 year model no need for the turbo. I am looking for a complete engine for a Mini Cooper, 1.6, 2009 model. I am looking for a complete engine for a Mini Cooper, 2009 model, N14, R55. I am looking for the complete 5 speed gearbox on a Mini Cooper, 1.6, 2004 model, W10. I am looking for a turbo booster for a Mini Cooper, 1.6, 2012 model. I need a toggle board for a 2008 Mini Cooper S, I am situated in Bramley, please call back with price and availability. I need an engine for a 2002 Mini Cooper, I am situated in Ermelo, please call back with price and availability. I need an engine for a Mini Cooper, please call back with availability and price. I am looking for a complete engine for a Mini Cooper, 2009 model, SR56. I am looking for a complete engine for a Mini Cooper Clubman 1.6, 2009 model, WMWML32040TN48960. I am looking a complete engine for a Mini Cooper, 1.6, 2008 model, N12B16A. I am looking for the complete engine for a Mini Cooper S, 1.6 Turbo, 2011 model, B918J077. I am looking for a complete engine for a Mini Cooper, 2011 model. Good day, I'm looking for a Mini Cooper M12 engine. I am looking for a sub assembly for a Mini Cooper 1.6, 2009 model. Hi , I am looking for a mini cooper engine. I am looking for a complete engine or a sub assembly with pistons for a Mini Cooper 1.6. Hi there, I am looking for an engine for a Mini Cooper S, dont know the lit dont have the engine no, requests return call /email with quote. I am looking for the complete cylinder head for a Mini Cooper 1.6, 2007 model. Looking for a low milage GL350 CDI Bluetch engine - 2014. Complete with turbo. I am looking for a complete engine for a Mini Cooper S, 1.6 lit, 2007 model, N14. I am looking for a Mini Cooper, complete engine, not sure of the engine size or the year model. Mini 2008 R56 N14, BLOCK OR SUB ASSY. Recognized and considered as among the most appraised car brands, Mini is unique, fashionable, sophisticated, comfortable plus reliable. As a result, it is not hard to understand why Mini is one of the frequently sold makes. Nonetheless, Mini is very pricey and finding Mini engines for sale will certainly eat deep into your budget. Occasionally drivers end up leaving their Mini’s for quite a while to save cash for spares while this really is essential, it often exposes your Mini to numerous issues that may form in the event the engine hasn’t run for a while. 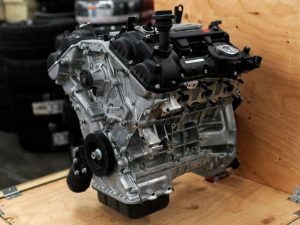 What lots of people are yet still to notice is that you could still easily find second hand mini v8 engines for sale at a lower cost and prevent issues whilst enjoying the luxuries of one’s vehicle. Many scrap yards within Pretoria offer reconditioned mini engines for sale, so you can be sure of locate them using the map below. However, before choosing the Mini scrap yard, you will have to think of several things. You will have a variety of options in picking a used auto parts shop that are experts in second hand Mini spares in Pretoria. On the other hand, not every one of these scrap yard will be established equally. Underneath you will understand much more about a lot of the things that you must take into account before choosing the scrap yard to buy your Mini replacement spare parts. • Track record – A company’s popularity will show you a whole lot about whether or not they are a trusted source of used Mini parts. Companies which have constantly provided customers with high quality parts will ultimately have a great reputation. Testimonies, web based opinions, as well as word-of-mouth accounts from previous consumers can assist you determine what you can expect while confronting a selected scrap yard. The content the previous purchasers released will aid you to see whether the supplier is really worth choosing and what you can expect from their shop. • Assurance – A credible company will only provide mini v8 engine for sale that runs that have a warranty. They should hold conditions that permit you to exchange any component that doesn’t match the class standards. • Variety – Trusted suppliers will offer Mini spares for various models and provide a number of options from which to choose. You will find spares that had been salvaged from brand new autos which had been only written off caused by an accident whilst others come from older vehicles that have broken down to some extent they are beyond repair. There are numerous different minor factors to make. Aspects of insurance policy, affordability, restoration solutions and warranty are very essential to gain access to. With all the considerations you’ll want to take into account, it’s easy to discover the Mini engine suppliers in South Africa. Most of the reliable sellers possess an authoritative website that incorporate all the details that they provide. It is easy to try to find the closest dealer to you. Utilize top internet search engine to obtain the closest scrap yard and apply the earlier mentioned things to acquire the ideal vendor. You can also buy from recognized respectable companies such as Mini Scrap Yards in Pretoria. A lot of scrap yards are dependable and you may be sure of receiving the right engine for your Mini.